Cornell University’s revenue from application fees last year was the highest among its Ivy League peers (photo credit: Sach1tb). Curious to know the application fee for undergraduate admission at each of the eight Ivy League schools last year? Stay awake at night wondering no more. We’ve got this data for our readers. Brown University, Harvard University, Princeton University, and University of Pennsylvania each charged $75 per application. Cornell University, Dartmouth College, and Yale University each charged $80. Columbia University, with its expensive New York City real estate, charged $85. So it’s Columbia University that charged the heftiest application fee this past year. But which Ivy League school raked in the most cash from application fees? That of course would depend on the total number of applications submitted to each of the schools. 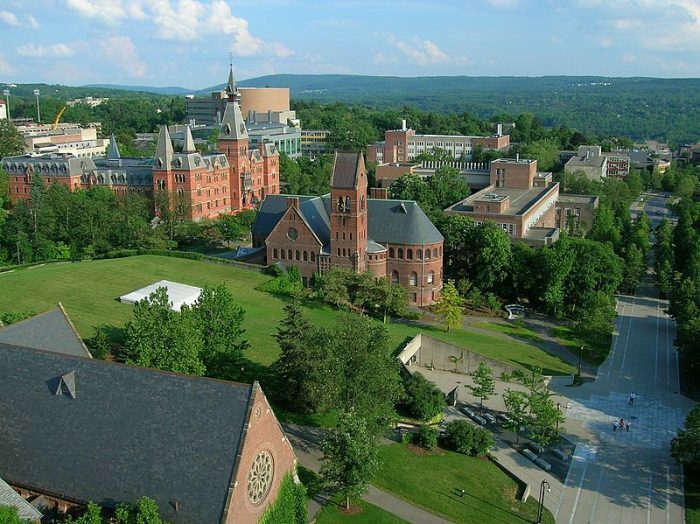 And the winner is…Cornell University. Cornell received $3.59 million in application fees last year, as reports Vale Lewis for “The Cornell Daily Sun” in a piece entitled “Cornell Received $3.5 Million in 2018 Application Fees, Highest Among Ivy League Schools.” Keep in mind that $1.1 million in application fees were waived by the Ithaca, New York-based school for certain applicants in financial need. Columbia University took in $3.14 million in application fees last year. Harvard University took in $2.92 million. University of Pennsylvania took in $2.91 million. Yale University took in $2.51 million. Brown University took in $2.42 million. Dartmouth College took in $1.65 million. And Princeton University took in $1.9 million. And which non-Ivy League school took in the most revenue this past year in application fees? That would be the University of California – Los Angeles at $6.79 million.